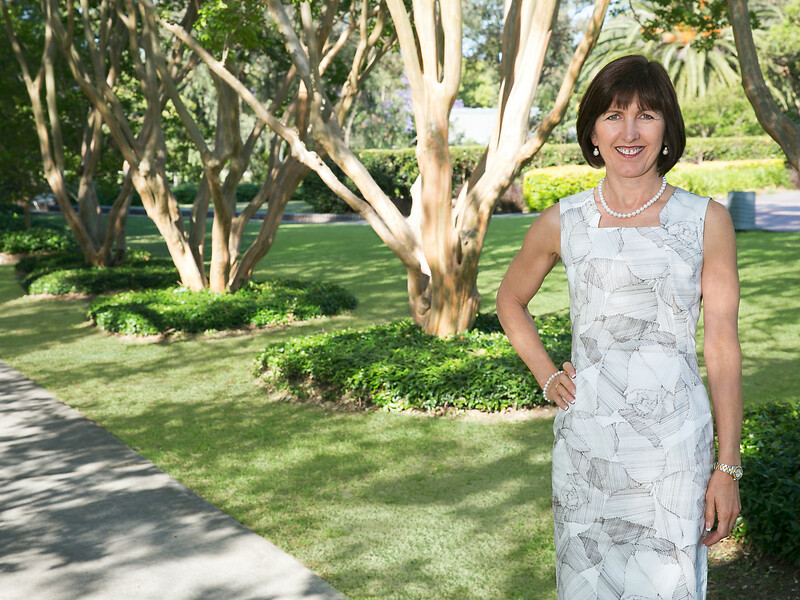 Honesty and transparency are the strongest ideals for McGrath Epping agent Betty Ockerlander, allowing her to differentiate herself from the competition. Ranked eighth in The top 50 Women and 34th in the Top 100 Agents, Betty reveals the secrets she has mastered over 24 years, including prioritising “dollar-productive stuff”, as well as her minor tweaks to suit each client and how she cultivates discipline on herself and her team. Announcer: The Top 100 Agents are the best of the best. Listing and selling more than any other agent in Australia. These are the practises, actions, and beliefs of the most successful agents in Australian real estate. Raw, honest, and completely uncut. Tim Neary: Good day everyone, it's Tim Neary here. I am editor of real estate business and host of the Secrets of the Top 100 Agents podcast. Thanks for tuning in. Very pleased to welcome on the show today, ranked 8th in The top 50 Women and 34 in the Top 100, from McGrath in Epping, it's Betty Ockerlander. Hello Betty, and welcome to the show. Betty Ockerlander: Hi Tim, how are you? Tim Neary: I am well, thank you. How are you going today? Betty Ockerlander: Very busy day, as usual. Tim Neary: Oh, okay. Well, I won't take long. Thank you for joining us this morning. Look Betty, you've been in the business 24 years and in the last financial year, you sold 88 properties. So, you obviously have a good understanding of what the real estate business is. Just a thought there, if you don't mind, what is being a real estate mean to you? Betty Ockerlander: I'm a bit old fashioned, it might be my age as well, but I think it's all about just make sure you're doing the very best for your vendors. The vendors are paying you and I just make sure whatever I do, I'm achieving the best possible price for them and making the path easy for them, making it as stress-free as possible. And, lots of communication and just getting them through it. A lot of people are nervous and they're given expectations of what should be happening, so I manage that pathway through to make sure that it's not a bigger deal for them. Tim Neary: That makes a lot of sense, and it sounds like the business of real estate revolves a lot around people. I guess that the business of real estate, we know it's competitive. As an agent yourself, you would want to differentiate yourself from your competitors. How do you that? What is your point of difference? Betty Ockerlander: I suppose I do what I say. It's really important to ... I think a lot of agents don't give themselves enough time, like they over-promise and under-deliver. So, I think my big point of difference is that I do pay a team. I've got a team working around me so I make sure that it doesn't matter how busy I am, I don't go home until I'm finished, and I make sure that everything is dealt with. That's probably bad, my husband's listening, but my clients are my first priority. I have to get everything done. Tim Neary: Thanks for that, Betty. It leads me into my next sort of question, and that is around the business of real estate and the pillars of real estate. What is it that you think that the public wants from real estate agents? Betty Ockerlander: Just honesty and transparency. It's been over a year and a half since I brought in the underquoting rules, and I still deal with a lot of people every week. I go to all my open houses and so many of the buyers tell us that, Betty, how much is that one gonna go for? The agent's saying this, is that correct? We find that they underquote usually by three, four, five hundred thousand. We're not meant to have an underquoting now, and it's still happening. That's probably the biggest thing that's out there at the moment. Tim Neary: That comes up a lot, that people talk about honesty and transparency, and so it's good to hear that you say that. You've been in the business, as we said, for a long time. You've got a lot of experience in it, and you've obviously evolved your business as you've evolved as an agent, as you've gone on. If you cast your mind back to the beginning, what was the one piece, if there was one piece of advice or the pieces of advice, that you were given early on in your career that have made all of the difference and that you're still doing today? Betty Ockerlander: You have to stay consistent. I think a lot of agents fail because they're not consistent. Like, I don't know, for 30 years I've been getting up 5:00, 5:30 every morning, go to the gym at 6:00, go to work. You're fresh and you're clear, and you're on top of things. If you look after yourself, you can look after your clients better, and you have to be able to manage time. I think a lot of people are very spasmodic and they'll have a big splurge, and then nothing. I think the more you do for your clients, the more referrals you get. I suppose, yes, but that would be the biggest thing for me is that I make sure every single client is treated really well, and I've done the best I can. Because, that referral business has meant that I don't need to prospect anymore because I've always got people calling me and their friends need to sell, or a relative needs to sell, or even they need to sell a second time. So if you do it right, right from the beginning and stay really consistent and stay fresh, you can't go wrong. Tim Neary: Managing time seems to be a very important part of the business, and that would mean that you would need to prioritise things, as you mentioned a little earlier. I'm just interested to get a perspective from you in terms of, again, how your business and how the way that you approach a business has evolved and changed. Is there anything that you're doing, in terms of prioritising, more of now than what you used to do? And if so, why is that and how has it made a difference. Betty Ockerlander: I think the big thing that has changed maybe the last five to ten years, is being making sure that I do all my vendor catch up face-to-face. Before you'd be busy and you'd just give them a call here and there, and definitely much better if you make sure you see vendors every week. You need that face-to-face with them to go over the path. I'm very good at tweaking, I don't just sort of put a property on the market and set it and forget it. It's more about tweaking and changing along the way to make sure that we've got the outcome we want to achieve at the end. Tim Neary: And it sounds like it's working with the vendor all the time, and having that personal contact with them. Betty Ockerlander: Teamwork, because you have to have your office team. We're working in a team with the vendor, it takes both of our teams to work. Tim Neary: And how is that making a difference? What kind of feedback are you getting from the vendor, both verbally and sort of non-verbally? What kind of results are you getting from paying that extra attention to the vendor? Betty Ockerlander: Well, you don't have calls saying, hey, what's happening with my property? You don't have sales option few, you know, you sell all your properties. So, there's just no misunderstandings that way. You save a lot of time and stress on both sides, making sure that everything's done properly straight up. Tim Neary: Which comes back to your original point around how this is a stressful business. It's a stressful thing to do for vendors, and I guess for buyers as well. So the more you can, I guess, minimise that stress, the more the vendor is gonna get a good outcome, the more likely they are to tell good stories about you, and you sort of get good referral feedback. Betty Ockerlander: That's right. And, I think if you stay motivated into discounting the commission. So, they know they're not good enough and they keep cutting down their rates to get business, whereas if you know what you're doing and you're doing it consistently, believe in what you charge, your clients believe that as well. Tim Neary: Some of the things that you're doing less of now, I'll talk again about prioritising time and there being only a certain amount of hours in the day that you have. What are you doing less of now? What are some of the things that you've put down that have made a difference for you? Betty Ockerlander: It was a while ago, but I suppose I was really controlling and having to have everything, I'm such a perfectionist. I wanted to go to all the photos and do everything myself, you know, be there when the photographer was there. And now, I've now taught my team to do that. So, they go, I just check for proofs and make sure I'm happy with everything before anything goes live. So, they do that, and I also get them to do all the first round of calls with buyers, and I do the second round for the interested buyers. I don't need to find out someone who's just thinking about selling in a couple of years time, I'm dealing with the ones that are ready to buy that I can negotiate with. I found that's a better use of my time, to sit in the office for an hour or two negotiating with someone, than to spend an hour to just sort of canvassing people who aren't interested. Tim Neary: The dollar productive stuff. I think that's probably a piece of very good advice for anybody listening around how to prioritise your own time, then you can just be involved in more things, I guess. Betty Ockerlander: There's another really big issue that you could talk about in prioritising time. I see it, how much time is everyone spending on social media at the moment, and unnecessary things. We didn't have that to worry about and I still don't, unfortunately don't, I'm not good at spending time on that. If I have an occasional post, yes, but to be glued to your phone and having to react to your phone or to a message every second, that distraction is taking you off track. You can't keep up the volume and the consistency if you constantly got those distractions. You have to be able to put your phone aside, don't look at it, and just get into docs, and just be disciplined to do your calls and do your prospecting, and get back to everyone that you need to get back to. Tim Neary: You used a great word, they're disciplined, and it really is about just prioritising time and just staying focused on the things that are gonna get you the outcome, and not get distracted. Because, as you quite oddly say, there are a lot of distractions out in the world today that there weren't a couple of years ago. Tim Neary: Yeah. Hey Betty, I just want to talk a little bit about the business of real estate for you. Is there any sort of really memorable marketing programme that you've put together, and what made it memorable, and what was the outcome? Betty Ockerlander: I tailor every marketing campaign, so that's really not the right question for me because I make every sale memorable. It's just, I do believe in marketing. An average marketing campaign for me would be somewhere between, sort of, seven to ten thousand, and for a more expensive house, it might around twelve to fifteen thousand. I have a very, very good database and I think it's important to make sure that you utilise your database properly, and then you have some fresh buyers from marketing in. 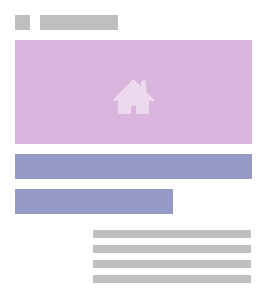 I make sure that I test off on [inaudible 00:09:51] marketing. I'm not into marketing myself, I make sure that it's the property. Am I getting results for my client? Recently we've started doing the social media marketing on Facebook, and it is bringing results now. But, I paid for that for six months just to test in it before I could recommend it to my clients. Betty Ockerlander: I can't think of any particularly memorable campaign. I've had plenty of crazy auctions, and I love all my campaigns. I love what I do, so every sale is exciting for me. Tim Neary: I get it, and when you started out you said that you tailor every one, so it's not sort of formula-driven. Is it fair to say that you would ever look at the specifics of every case, and then put together something that would talk to each one of those points? Betty Ockerlander: That's right, because you can't. No two companies are identical. You could have sort of a standard campaign that might work for some properties in this side of the line, but not work for properties on the other side of the line. And, what demographic amI looking at, and am I looking at an older or younger demographic? You've got to really just keep tweaking it and work out where do I need to go further afield to grab my buyers, or are they gonna be local buyers? You've got to do it all. Tim Neary: That makes a lot of sense. Hey Betty, we've sort of got to the end of the show now and I just want to say, again, thank you and congratulations on a very successful year. Before we end, one last question: Is there anything unusual that's happened to you in the business and that sort of stands out, and that was sort of a defining moment in saying, well, now I really am a real estate agent? Betty Ockerlander: No, I think it just evolved over time. I suppose the big thing for me is when I sold my business to McGrath nearly three years ago. That freed up a lot of my time and instead of working a hundred hours a week, I can just stay in here for the 60, 70 hours and to see my grandkids. I don't know if that's what you call a defining moment, but it kept me sane. Tim Neary: I think that pretty much is a defining moment, actually, yeah. Fantastic. It's been a real pleasure to have you on the show this morning. Again, congratulations on a very successful year last year and hope that all goes well for this year, and you have an equally successful year. Betty Ockerlander: Thank you, Tim. Tim Neary: Fantastic. Thanks, Betty. Remember to follow us on all the social media stuff, Twitter, Facebook, LinkedIn. You can follow me, too, on Twitter at timothyjneary if you'd like to do that. If you've enjoyed today's show, please leave us a five-star review on iTunes. It's the best way for new listeners to find us and for them to hear the great content we are putting out. As always, realestatebusiness dot com dot au is where you'll find us. There's plenty of stories there on the business of real estate across the whole of Australia and on my guest today, Betty Ockerlander. Thanks for tuning in and we'll see you next week. Goodbye.